so you need not to lose heart but struggle hard and tell the world that you can do anything. 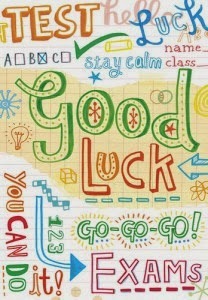 My best wishes for your success in examinations will follow you. So, believe in yourself and go ahead. Your destination is waiting for you. Be courageous and Be sure that you will Score good marks and consider it as your aim.